A very brief bit of Muzeable Thinking discussing why healthcare marketing needs to think differently sometimes. This requires deeper and more difficult thinking… which is why we avoid it sometimes. It also owes an underlying nod to some of the excellent work on behavioural economics. We will no doubt return to this in more detail in the future. Brands/businesses often assume that if they can develop a great concept/claim and some ‘good’ advertising or marketing that they will be successful… obviously, these things are critical, but sometimes they are the right answers to the wrong questions. Often in healthcare – where categories tend to have low penetration, minimal levels of consumer engagement [except at the actual point of ‘suffering’] and often intermittent or occasional need then the real challenge is about changing or creating new consumer behaviour[s], not ‘selling’ something i.e. the thing you have to sell! This is hard! It is different from finding new persuasive communications or innovation aimed at building a ‘better mousetrap.’ Both of these will help, but they will not unlock the category unless you change the prevailing behaviours. We learned this reality through making mistakes and repeated acts of naivety. This has changed our approach. We no longer just focus on finding category/brand insight, but in understanding the REALITY of behaviour and adjacent behaviours and what really needs to change so we can win. Obvious, but truth is we see more evidence of healthcare companies trying to bend their world to fit the current FMCG brand and marketing models rather than trying to really build a more specific model to match their specific needs. We passionately believe that the FMCG approach will never quite work in healthcare. Too often when you talk to consumers about innovation or messaging consumers will give positive feedback on concepts [making you believe we have a ‘winner’] and then post launch they don’t actually change their behaviours or actually buy your shiny new offering. Or at least, rarely more than once! This is true of much NPD, but especially pertinent in health, because what most consumers actually want is an impossible to provide magic bullet that allows them to keep old behaviours in place. Their positive response to the ideas is genuine, but usually delusional! Who would not respond positively to a concept that explains & educates and then delivers a benefit that will enhance or help you or your family’s health and well-being, Who would not imagine that they would embrace this sensible behavior – e.g. weight loss concepts. The challenge; the art is to better define the barriers to penetration – these will usually work above and beyond the CATEGORY RHETORIC [which, as we are always saying, you need to understand too] – before locking down concepts… THIS IS WHY WELLNESS IS EVERWHERE, HOLISTIC & DIFFICULT. Our long experience in consumer healthcare makes us believe that most FMCG research approaches, innovation approaches and brand development inputs… will only deliver half the required truth. We have to go broader [into life, as the context] and more specifically [into the reality of the change we are asking for] in order to deliver stuff that sticks. Even then expect it to be a long haul. To put it another way FMCG does many things brilliantly and one of its core skills is to reduce the category to a value added ‘transaction’ – a benefit in a box. The ability of great brands and innovation to own and then deliver against and improve on this promise makes it a repeatable transaction… one we can still be loyal too. We can’t think of many healthcare situations that consumers REALLY see as transactional – a headache perhaps… but even that is part of a continuum [i.e. it has a cause related to other behaviours]. The benefit in the box is only ever PART of the need. So, let’s get beyond the attitudinal and understanding questions and explore the reality behind the consumers lives and behaviours. This way we can deliver more than just a product message, an innovation concept or me-too claims we can deliver a framework for behavioural, and then, category change. involve defining innovation BEYOND the product in a box and involving service and soft stuff. Referencing our blog of a few weeks back [07/12/12 http://www.muzeable.com/muzeable-thinking/have-you-worked-out-how-to-make-your-brand-an-aggregator-brand-youd-better] it might well require healthcare brands to be Aggregator Brands. Quick summary before you use some of your valuable time reading the article. All categories have a ‘rhetoric’; an established short hand or set of rules, insight, messages, behaviours, buying processes etc. that manage how it works. This ‘language’ becomes established and then usually, over time, entrenched and then without truly breakthrough innovation it is tough not to end up relying on it [and being me too] and risky to ignore it in search of ‘differentiation’. Growth is hard and usually requires change. We believe that most people make the mistake of starting their quest for this change by seeking a big idea [usually mythical] to drive it. What we should do is seek to first understand how ‘growth works’ in the category. We call this GROWTH MECHANICS™ – the CATEGORY RHETORIC fits within this. Understanding the category rhetoric and how entrenched it is will define the nature of your growth and change journey. It’s more than situational analysis/research because it delivers a clear sense of how to grow – i.e. drives tangible actions/imperatives. Using this approach has forced us to totally reassess the nature of change in categories we’ve worked in for many year and thought we knew. It shows you where you need to re-enforce and where you might be able to re-invent the category [despite alack of big innovation]. It is also a neat way to shape & improve your current innovation approach. Along the way we talk briefly about Innocent Drinks and Blackberry/the Smartphone market by way of examples. CATEGORY RHETORIC is how we describe the set of established rules, insights, messages, behaviours, buying processes, needs etc. and, very importantly, ‘language’ of a category. This ‘language’ is the basis of communication and understanding between brands, channels and customers/consumers and it is essential to the working of the category. The mistake most of make is thinking that it is in our market research, some of it is, but it requires a more multi-faceted commercial analysis to make it meaningful. Over time – in the absence of step change innovation – in most categories this becomes established and then, sadly, entrenched. This is reasonably inevitable for commodity categories as we all have limited capacity for ‘new stuff’ and this process helps them work on autopilot. But even, high engagement categories have a RHETORIC that needs to be understood if you are to change your performance dynamics and win. Understanding this is a key step – and challenge – in building a GROWTH PLAN. GROWTH is hard. To grow faster than you are at the moment, 99 times out of a 100, something has to change– a new need is discovered/created; a step change or strong innovation launched; some great marketing executed; a competitor’s misfortune exploited, a new channel leveraged etc. Sometimes it’s a ‘mover’ advantage – first & fast, or second & better – sometimes it’s just strong incremental input that gets traction. Whatever, GROWTH is still HARD to come by. We deconstruct and reconstruct how growth currently works in a market or environment. We then consider how our client’s business works against this blueprint. We then layer over that a sense of the key disruptions and change potentials that might matter in the short and longer term. We would recommend you did all of these exercises at some point. The result should be a granular map of the key forces and futures that can accelerate our progress or run us aground on the rocks. It still surprises us how the clarity it brings forces strategic decisions. It should create a set of imperatives for GROWTH and provide a brutally realistic assessment of the task. Within this, whatever business you work in [B2B, B2C or B2B2C] we would recommend that you have a deep, considered and documented understanding of the CATEGORY RHETORIC before attempting change. Recently, I was consulting in a category I had worked in for 20 years as client and consultant – the CATEGORY RHETORIC exercise alone COMPLETELY CHANGED my preconceived view about the task and growth challenges. It clarified all the mistakes I’d been making for years and why I’d been naive in my attempts to create a killer idea that would deliver change in one fell swoop. This is a frog kissing exercise that usually ignores the context and reality – the place where the solution is hidden. Oh it’s just a ‘situation analysis’ I hear you say. We can’t deny that’s kinda true, but everything in this world is about inputs and outputs. This is more of a ‘why’ and ‘how’ input than a ‘what’ and ‘where’ exercise. Not just USEFUL, but USEABLE and [hopefully] USED. If you work in a mature category the likelihood is there is an ENTRENCHED RHETORIC. The products, claims and messages in the category are commoditised, there is parity of insight, the consumer/customer substitutes with ease, own label probably does well or is growing, and a set of well-resourced brands and businesses slug it out toe to toe with little step change emerging etc. Too often it is imagined [particularly by comms agencies] that you can create a huge disruptive big communications idea or brand personality and everything changes. We wouldn’t say ‘never,’ but if you understand the CATEGORY RHETORIC first, we would argue that most of these attempts would be either stopped before they started or be of radically different construction. It is a strange arrogance [insecurity?] of us marketers that we always believe in the hegemony of our own ideas. Building a sparky personality or disruptive comms idea can work, but only if it plays with and appropriately against the rhetoric in a really precise way. This is rare. Remember, the rhetoric is in part ‘entrenched’ because consumers are content with it that way. It works, they understand it, they draw comfort from the clichés and they are cynical about your ability to change things! Categories like painkillers [most OTC medicines actually], detergents, basic foods, beer – half the supermarket – are there or drifting that way. Watch the ads and they all use the same constructs and clichés, with a different logo appearing at the end [often unremembered!]. Can you ‘change’ the rhetoric? So, a key task is to assess how you might and if it is possible to change the rhetoric. As said, in the absence of big innovation you need to find an insight of behavioural disruption and this usually has to be a medium term strategy i.e. no quick fixes. This is partly because we are genetically predisposed to avoid change! We would argue that the few comms led disruptions that have worked were actually changing the rhetoric – even if they didn’t know it! Further, if changing the rhetoric is really hard you should consider another route to growth than relying on the agency to ‘communicate’ your way to growth. Innocent Drinks won in a category with some established rhetoric by changing it over time. They de-commoditised/established some core messaging on CSR/naturalness/quality/taste etc. [these are now established parts of the evolved rhetoric], they innovated, but it was their challenger mind-set and the engaging, disruptive personality they created that found a space in the vacuum. We would argue that consciously or unconsciously their approach to the CATEORY RHETORIC was a key factor in making the brand/comms approach work. It’s an overused example, because good examples are rare. Where categories are emerging the rhetoric is probably more like setting jelly than an established structure. Here there might be opportunities to change and segment it further to create opportunities. But even then, never underestimate the way the GROWTH MECHANICS and RHETORIC might be working to keep things the same. We saw a little piece on Blackberry Z10 recently. Whether the Z10 is the answer to Blackberry’s malaise, who knows? The launch gets some good press [1m sold] and, as in this article, lots more cynical/negative coverage. Our view is that it is hard to see this innovation enabling Blackberry to win in any meaningful sense. Why? It’s not challenging the established CATEGORY RHETORIC. In this situation we have a head to head between 2 powerhouses who built and ‘own’ the rhetoric. We have 2 other players trying to get to the table and whilst both have new things to talk about; currently none of them seem to have the potential to change the CATEGORY RHETORIC. It’s a hi-tech, fast moving category, so clearly something new could arrive to entirely REPLACE the current rhetoric, but as time moves on and we build our lives around the tech, this becomes harder to do. So, until someone rewrites the CATEGORY RHETORIC and unless the current rhetoric owners/leaders really fail to deliver even incremental progress, then, what we’re seeing isn’t enough to win. What’s sad is the lack of evidence that either challengers tried this. They are trying to win by doing good ‘innovation’ and great product launches. Good luck. A new input to innovation? Finally, when you innovate, don’t just think about the ideas and concepts – think about consciously innovating [or re-enforcing] within the rhetoric to position your NPD. This is potentially a powerful new approach to innovation, or a key step to ensuring your existing innovations work better. It enables consumers to know what to do with your new idea and where to position it – incremental or step change etc. and it enables you to maximise differentiation for even the smallest ideas. Muzeable and our thinking is founded on the belief that GROWTH is more often delivered via an approach that provides deeper reflection versus one that searches for [usually] mythical, home run, big ideas snatched almost out of thin air. So as you set out to change your current situation and GROW faster and more sustainably think about the CATEGORY RHETORIC you are trying to shift, re-enforce or re-invent. Think about how you build a picture of that RHETORIC and the GROWTH MECHANICS™ in a different and more actionable way… then, and only then – when you have worked out HOW TO GROW – should you think about strategy and executional ideas. Acknowledgement to the work of Adam Morgan of Eat Big Fish fame. If you haven’t read the book ‘Eating the Big Fish’… do so. CATEGORY RHETORIC© and GROWTH MECHANICS© are the IP of Muzeable. Please acknowledge us if you use them. The inexorable rise of the ‘commoditised category’. We already live in a world with too much choice. This is not made any easier by the rise of the commoditised category – where the choice itself becomes of increasingly marginal interest. Some of these categories are still packed to the brim with brands and brand owners who might be doing ‘ok’, but they are rarely growing sustainably and are often in denial about the reality of their situation. Beyond offering some sign posting – giving shape to the bun-fight – they cannot hide from the fact that the category is basically commoditised and consumers substitute with grim alacrity. The signs are clear; the steady growth of own label sales; over promotion feeding the habit of consumers/shoppers who’ve become promotional junkies; the increasing number of fixture/ message magpies – attracted by an minor increment of difference, but not seeing much added value. Consumers bounce around making often ad hoc choices, but with no real personal consequence or risk. It all does the job. The worry for brands is the number of categories that are – if we’re honest – creeping towards this slippery slope. OTC medicines, financial products, lots of food categories, everyday toothpaste etc. are knee deep in this reality. Other categories are even worse off and the market [or sometimes just the retailer] has decided it doesn’t really need brands at all. I have been going bananas recently; I mean working in the bananas category. It might be the most challenging category I have ever looked at – much fun though it is! In the UK there are no brands [except Fair Trade which in this context doesn’t really count] in the major retailers… all this in a category where arguably the UK’s first food brand was created [Fyffes Blue Label]. Categories like this have drifted into uninspiring, un-engaging, undervalued and mundane shopping rituals. 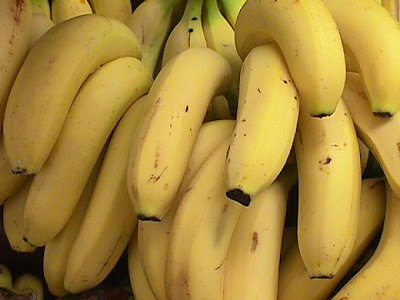 But, people still love bananas… Europe imports over 5m tonnes a year. So, surely this situation does not have to be an inevitable outcome? So, in the context of growth, how much does it matter? The implication of all this is that there is no value in brands or consumer brand loyalty left. HOGWASH [NB remember we are talking about categories we describe as ‘commoditised’] it is just that loyalty fits into a new context – and understanding this is part of the solution. In a world where your loyalty is defended by superior quality or there is a perceived quality compromise in using the alternatives it is robust and protectable. Once this is differential removed or overtaken by value considerations or parity creep – where all the products AND messages in the market are the same – the consumer will park their loyalty and over time this evolves into entrenched behaviour. It doesn’t mean there is NO loyalty, it just means it is part of a behavioural repertoire, not a given. We have to work to leverage it EVERY TIME the consumer enters the fray. What worries us about this situation is the way the tools of response are too often vested in sales/retail strategy – price and promotion, category rhetoric etc. These are vital, but rarely will deliver a sustainable solution. They are too reactive [to customers] and not broad based enough to deliver a sustainably winning response. We value category strategy, but it is a subset of the solution. A point of context…I am always irritated [my problem not theirs!] when brand marketers say that major retailers ‘hate brands’ and unreasonably want to remove them. Having worked indirectly [for a brand owner] and directly [as a consultant] with major retailers my experience is that they are best described as ambivalent about brands. Often [perhaps grudgingly or silently] accepting that the category… even they themselves, need strong brands and they have a key role [beyond the cash they feed into retailers’ bottom lines]. They provide Investment, generate most of the innovation, they invest in consumer and shopper insight and consumption demand, they think more holistically, they even occasionally think beyond this afternoon’s till receipts etc. The commoditised – often stuck – categories are clearly failing to do all, or some, of these things well enough to engage retailers. So, if you work in one of these commoditised or fast commoditising [where brands still do ‘ok’, but are adding so little value that their % of sales on promotion, their static or declining average price, their substitution levels, the volume growth of own-label etc. mean are in reality ‘hanging on’ because of infrastructural and historical precedent] what should you do? Actually, if you look around there is a lot to give us hope. Ultimately it must start with a clear strategic approach to your future business success. Much is based on an old, dark art… it’s slipped my mind, what’s that thing… oh I remember… it’s called marketing! Fix 1: The cult of personality. If all other things are equal, you can create an engaging and meaningful personality. Without a point of salience it is merely window dressing, but… E.g. Innocent. They weren’t the first, but they might have been one of the best… They built a personality in a category of potential commodity, they tied it to some benefits and things that are interesting and/or important to consumers and they executed with absolute single-mindedness – we all read the pack copy with surprise and delight. We all look at it now as if it was obvious, but… most people selling mashed up fresh produce and competing with other people selling similar mashed up fresh produce would have ended up spiralling into commoditisation; over promoting, moaning about retailer own label and struggling to innovate. Innocent had the chutzpah to actually do something about it. To vastly varying degrees of success and authenticity you see Cravendale in milk, Happy Eggs, Filoppo Berio olive oil, Volvic in water all trying this. Some proof of possibility is found in a favourite sub-category [I exaggerate] of mine – cheddar cheese. When I were a lad there was own-label and Cracker Barrel – which I only remember as a treat for my lifelong bachelor, Bow Bells, East-Ender, Uncle Fred… Now… I counted four brands at my last supermarket visit, some clear segmentation, a premiumisation approach, innovation founded on need-states/occasions – convenience, out of home etc. I haven’t got the data, but I am pretty certain that the cheddar market is healthier now than 10 years ago… and I am certain that at some point consumers and retailers were contented with the commodity status quo of blocks of yellow dairy produce… do they need all the stuff being produced, maybe not, but reality is if they don’t want it… it won’t survive. We don’t work nearly hard enough on claims and messaging. Innocent didn’t just build a brand they build a language that reflected their personality. It was a way of describing the same things, but in new and engaging ways. We can all do this. It needs to be treated as seriously as innovation, which is why we don’t think you should always see it as part of the advertising/creative process. There claims are often treated as a prop, or in an ad hoc, one-off way… claims are part of a strategic continuum. This is key. A brand, either versus competition or to engage with retailers must try to own the universal understanding of the category and how it works. We refer to this as the mechanics of growth, the deep and sustainable view of how we’ll physically grow… you look at categories like Coffee… again there was a time when OL and its quality/parity were threatening the brands… but the category development… provenance, occasions, innovation, insight and strong merchandising and fixturisation delivered by Kenco/Nestle has build the category and maintained a meaningful branded premium… great stuff. Beyond the single, quick fix. So, a strong, vivid and authentic personality, some innovation, some reworking of the segmentation and fixture can all work, but only if viewed holistically and with a clear sense of category [BUT BEYOND THE CONSTAINTS OF ‘CATEGORY STRATEGY’ PROJECTS] and adjacencies. This must be founded on a clear view of growth and insight. BUT… never, never, never just start by looking to create a larger than life personality or comms idea, or through up-weighting you ideation/messaging – that’s like kissing frogs… ALWAYS START WITH GROWTH… really understand how the category works/will work then define HOW to GROW [your GROWTH FRAMEWORK] and then define the role of disruption and differentiation. Strategy simply should never start with strategy it must always start with GROWTH. PS sorry for the cheap plug, but this is what Muzeable do.